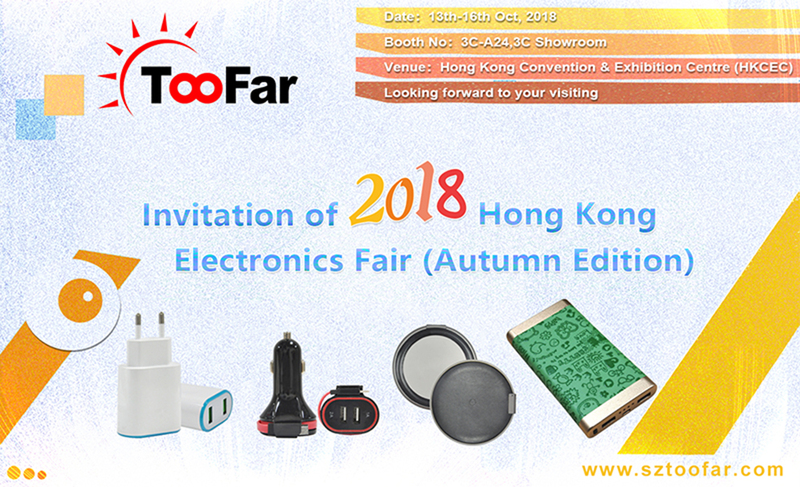 Annual Hong Kong Electronics Fair (Autumn Editon) 2018 will be held 13-16th October, 2018 at Hong Kong Convention & Exhibition Centre (HKCEC). Asia's Largest Autumn Electronics Fair is organised by the HKTDC and held at the HKCEC, many common daily and innovative consumer electronic products will be presented during these days, such as the hot AI products, car electronics, phone accessories, smart wear,3D printing, smart home electronics, healthcare electronics, and so on. As a more than 10 year's professional phone accessories manufactuer, we will not absent the grand meeting, our factory(Dongguan Ruikun Technology) will display different kinds of our innovative products as well.